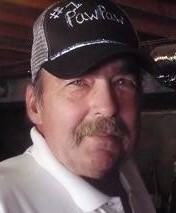 John Huff, age 65, of Clarksville, passed away Friday, February 8, 2019, at his residence. John was born June 16, 1953, in Clarksville, TN, to the late Irvin Emerson Huff and Lula Porter Huff. He was also preceded in death by his first wife, Sherry Darnell Huff; five brothers, Irvin Huff, Jr., Leslie Willard Huff, Jerry Huff, Jewell "Sonny" Huff, and his twin brother, Jack Huff; and two sisters, Daisy Bourne and Mary Cole. A Celebration of Life Service will be held Tuesday, February 12, at 7:00 PM, at the Chapel of Neal-Tarpley-Parchman Funeral Home, with Rev. David Hopkins officiating. Visitation will be Tuesday, February 12, from 1:00 PM until the hour of service, at the funeral home. John is survived by his wife, Regina Huff; son, John Wayne (Lisa) Huff of Clarksville; daughter, Brandy Elaine (Tony) Conatser of Clarksville; two brothers, Charles (Joy) Huff and Billy (Susie) Huff, both of Clarksville; sister, Lucille McCormick of Clarksville; two sisters-in-law, Barbara Huff and Violet Huff, both of Clarksville; nine grandchildren, John W. Huff, Jr., Hunter Lofton Huff, Lillian Elaine Lannom, Abby Lynn Conatser, Terry Lynn Seay, Christopher Seay, Noah Conatser, Collin Conatser, and A.J. Galindo; and three great grandchildren, Alexis Seay, Bryson Seay, and Laken Seay. In lieu of flowers, memorial contributions may be made to AseraCare Hospice, 1539-C Ashland City Road, Clarksville, TN 37040. Arrangements are entrusted to Neal-Tarpley-Parchman Funeral Home, 1510 Madison Street, Clarksville, TN 37040; (931) 645-6488. Online condolneces may be made at www.nealtarpleyparchman.com.